PC release just two weeks away. 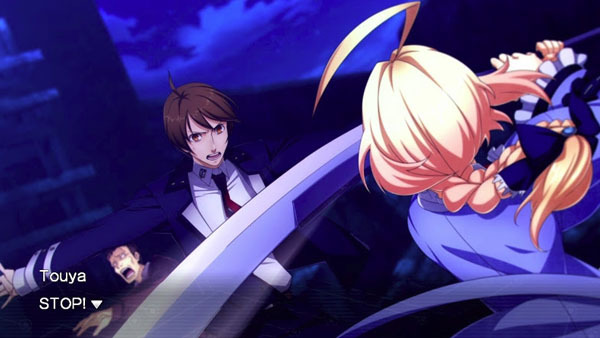 Aksys Games and Arc System Works have announced it will release XBlaze Code: Embryo on PC via Steam on March 1. Get the full overview below, via Aksys. True Blue: Renegade mages, homicidal maniacs and secret organizations are but a few of the maniacal adversaries that will test your resolve in this epic quest centered in the BlazBlue universe! New Levels of Immersion: XBlaze Code: Embryo pushes the limits of interactive storytelling by utilizing facial, mouth synchronization, and body configuration to breathe unparalleled levels of life into its characters! Master the Tides of Fate: The TOi system allows players to read information about the world, thus altering the path ahead. Choose additional information to change your fate and unlock multiple story paths and endings!